When I refer to some of the details of my personal journey to single fatherhood, I always feel that I need to qualify my comments. First, yes, I am a single father as the result of the loss of my wife to breast cancer. Second, no, I do not believe I live in the past. Finally, still, the events of my past and how I've responded to them have made me what I am today, so I certainly haven't forgotten the big things. 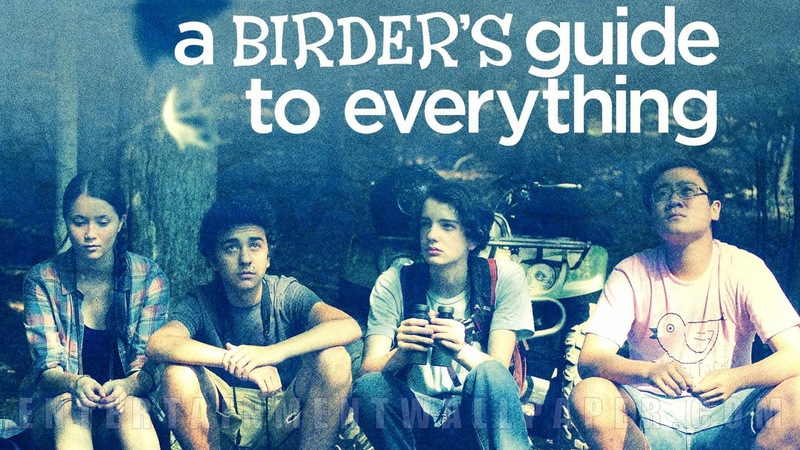 That said, The Favorite Son and I watched A Birder's Guide to Everything one recent weekend afternoon. I had no idea of the film's subject matter, but since I like birds and since I like Ben Kingsley, I'd recorded it. It turns out that the high school freshmen-or-so protagonist, David (Kodi Smith Mcphee), had lost his mother a year and a half earlier and his father is marrying to his mother's nurse. Not surprisingly, David is more than a little conflicted about these turns of events. See how this might pertain to a single father? On his way to school one morning, David happens upon what he thinks might be an extinct species of duck. So, David and the fellow members of his high school's Young Birders Society (YBS) along with fellow student/photographer/love interest, Ellen (Katie Chang), set off on a coming-of-age trip along the bird's migratory path to capture the duck on film and, thus, make the members of YBS both famous and more attractive to the human species' more fair gender. Taking a break from a workday on a recent Monday school holiday following the weekend that we watched A Birder's Guide to Everything, The Favorite Son and I went to our local library. During the ride, said to me, "I didn't get it." On the same weekend we'd seen a popular movie at the theater with friends, so I asked, "What about XYZ movie didn't you get?" "Not that movie, Dad," The Favorite Son answered. "The bird movie." "Oh," I said. "Well, David's mom died, but he was old enough to remember her. Birding was something David had shared with his mom when she was alive and he continued to do it to stay connected with her. David thought that his dad was getting married too soon, a year and a half after his his mom died." The Favorite Son immediately asked, "Was it too soon for him to get married?" "It depends on the person, I guess," I answered. Then, after was was clearly a more thoughtful pause than I anticipated, The Favorite Son said, "I wish I had something to stay connected to mom." He lost her ten years ago this week.